This was George Friderick Handel's parish church. 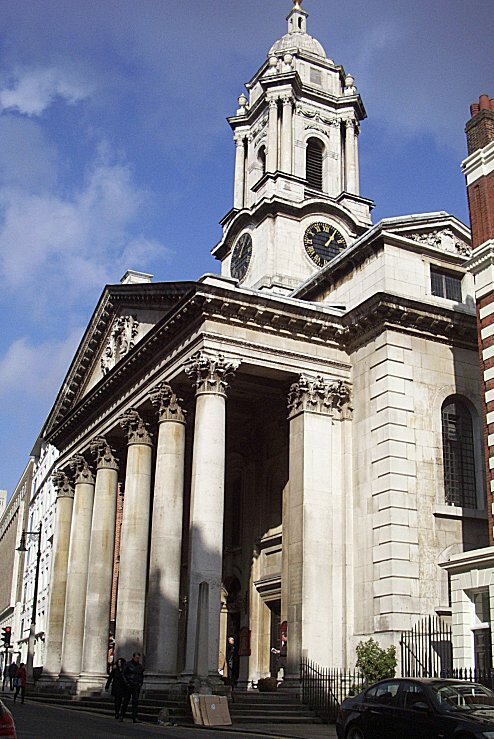 He came to live in nearby Brook Street in 1724, just as the church was nearing completion, and there composed many of his most famous works including Messiah. It was also the venue for this year's London Organ Day organised by the IAO, the theme of which was American organ music. This was most appropriate, since St George's has just acquired a brand new organ from Ooltewah, Tennessee, USA, - the first American-built organ in London - contained within the historic case by Gerald Smith that housed the original instrument played by Handel. 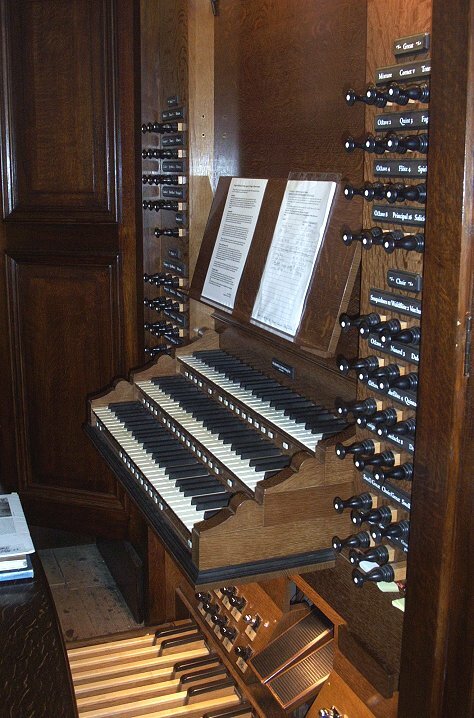 The organ employs mechanical key action with electric stop action and modern playing aids including divisional & general pistons with a multi-level memory and stepper. This is just as well for the performer since, as may be seen from the photo (above right), the stops are arranged on flat jambs that rise to a considerable height. The organ speaks with a Baroque accent, entirely appropriate given the church's history, but mindful of the needs of Anglican service has an enclosed Choir division - a new departure for this builder whose work is rooted in the North European tradition. The present Organist & Director of Music, Simon Williams, played a major role in the project that saw the installation of the new organ. 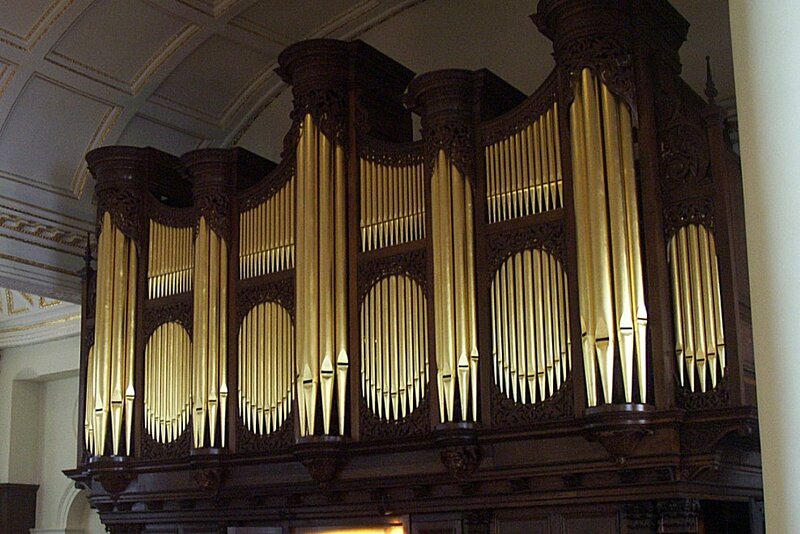 He is also Director of the RCO Academy, the education department of the Royal College of Organists.